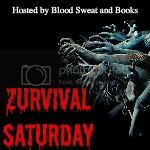 This week I wanted to talk about Zombie Book series that I think would make great T.V. Shows. I had never heard of Joe McKinney before stumbling across his book Dead City in a Borders almost 6 years ago. This was one of several books I purchased that day and just haphazardly grabbed it to read first. Omg it was soooo good. This series is seriously action packed. I didn't even realize how much it gripped me til I let out a sigh of relief after finishing the first book. As the Series progressed it just became more intense, more of struggle and this would make for some great TV. I especially think after Katrina an epidemic breaking out due to a hurricane or series of hurricanes is not so far fetched. 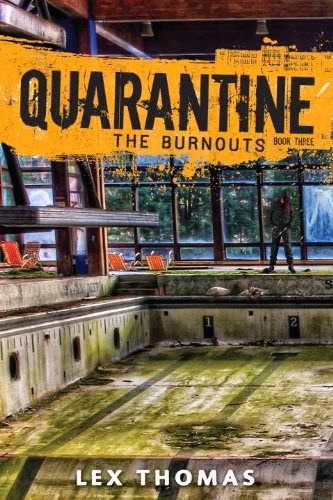 I know Rhiannon has stated that this series has been optioned before, but now with The Walking Dead paving the way this would be the perfect time for this project to come to fruition. Not only do you have 2 extremely badass female protagonists but you also have a very strong supporting cast. Lots of Action, romance, murder, death, corruption and that's even without the Zombies! This series is built for TV. I remember buying Amanda Hocking's Hollowland a few days after I bought my Ipad. The premise sounded interesting and it was Free so I really had nothing to lose. This book blew me away. Remy King is seriously one of my Favorite all time favorite Female Protagonists in a Zombie series. I loved this book, so immediately pre-ordered the next in the series. While Hollowmen wasn't as good as the first, it still was a great read. I think so much happens between the interim between the first and second book all that alone could take up one season of a TV show. I'd love to see this series on TV plus a zombie killing lion how could you not want to see that! With the perfect blend of a Political thriller mixed with Zombie action, this series would make a great TV show. It has a slower build then the others so you could easily show the point of view from those outside the afflicted areas vs. those in the thick of things. I have no doubt this would make for some fascinating TV viewing. This series is unique in that it already has an establish Zombified world. The Main character only knows life living with the dead and I think her actions and attitude certainly reflect that. I honestly think the journey she and others have within the series would make for some great drama. Now for this weeks questions. What book series do you think would make a great TV series? Why? Would you rather watch a Zombie movie or a Zombie TV show? Leave your answer in the comments below. I love reading your responses. Agreed! I adore Remy. I haven't read Forest of Hands and Teeth yet, but it's high on my must-read list.